Sent just now to the Globe and Mail Public Editor, Sylvia Stead. Beneath this I will post any reply I receive. Thank you so much for your followup re the Crowley article [see yesterday's post, and Ms Stead's comment at the end]. As a professional consultant and author on public transit, I have one more thought. The interesting journalistic question is "What degree of rhetorical exaggeration crosses a line into explicit falsehood, and requires a correction even for an opinion piece?" I assume you'd agree that opinion pieces must still state accurate facts. The New York Times runs corrections to its opinion pieces and columnists all the time, at least in its online version. Portland, Ore., has pursued road-skeptical policies similar to many major Canadian cities. The result is markedly worsened commuting times. According to the TTI, over the past 30 years Portland has gone from having the 47th worst congestion in the U.S. to the sixth worst. The second sentence not only untrue but the opposite of the truth. Portland has among the best commuting times in the US. As the third sentence reveals, when Crowley talks about "commuting times" he means "motorists' commuting times". Portland's commuting times are relatively fast not just because lots of people walk, cycle, or take transit. They're faster because people here tend to live closer to their jobs, the result of decades of careful land use planning that began with Oregon's 1972 laws limiting horizontal sprawl. Crowley's omission of that crucial word "motorists'" not only makes the sentence false, it reveals that a large part of the population simply does not exist to him. People who do not commute by car do not count as commuters at all in this calculation. Does denying the existence of a large group of readers constitute a reasonable distortion for an opinion column? Or is it just a falsehood? Yes thank you Mr. Walker. An opinion piece must be based on the facts so that a reader can come up with his/her own opinion. I will look into the points below and get back to you later this week. Canada's leading newspaper has published an anti-transit rant, by Brian Lee Crowley of the "non-partisan" MacDonald-Laurier Institute. 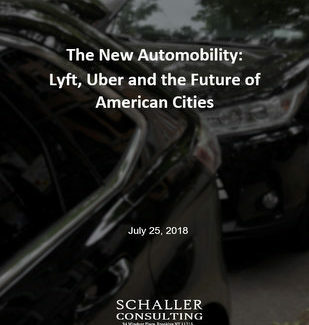 It's based on the work of the Texas Transportation Institute, a leading source of studies that view cities from behind the wheel of a single-occupant car. It's filtered via Wendell Cox, who's made a career of car-centered advocacy. I analyzed TTI's work more patiently here, so I'll cut to the chase now. TTI believes that traffic congestion is a valid measure of people's ability to access the resources of their city. They do not measure actual travel times for all people, or the liberty and economic opportunity that a good urban transporation system offers. They apply these things as factors to a degree, but their bottom line is road congestion. Once you insist on measuring congestion, and against that fantasy baseline, you can get absolutely everything backwards. "Markedly worse commuting times" is false. If you count everybody's commuting time, Portland is ahead of most US metros. As the next sentence reveals, it is only congestion that is worse. Yes, like all dense cities, Portland has exactly as much congestion as it makes room for, but it has low overall commute times, mostly because its carefully mixed density allows many people to commute very short distances. Remember, if you are measuring car congestion, Portland's transit riders and cyclists and the many people who can walk to work simply do not exist. Crowley disses "congested" Vancouver for the same reason, even though Vancouver is the only Canadian metro where the long-term trend is toward shorter commute times, due to continued consolidation of housing and business around transit. So how should an activist respond to this kind of talk from the asphalt-and-petroleum echo chamber? Everyone should know how to respond to articles like this, because we'll keep seeing them. The comments on the article ("Wendell Cox is an idiot") are not encouraging. Wendell Cox is not an idiot. He is part of a reactionary process that accompanies every revolution, one that we'll hear more from. He's a smart man who knows exactly what he's doing. Take time to understand the point of view. Many people's brains are so fused with their cars that to them, congestion really is the same thing as urban mobility or urban liberty. To them, the TTI is right. So first you have to object by shining light on that premise. TTI, and by extension Canada's leading newspaper, believes that certain people do not exist or do not matter — namely everyone who already travels by transit, bike, or foot, and everyone who can imagine choosing not to drive in the face of real and attractive choices. But then, avoid the trap of casting these excluded people as an underclass. Too many activists fall into that Marxist reading, and issue a call to arms on behalf of "ordinary people." They get through to people who already agree with them, but to the dominant business culture they look like an easily-dismissed-or-manipulated rabble. 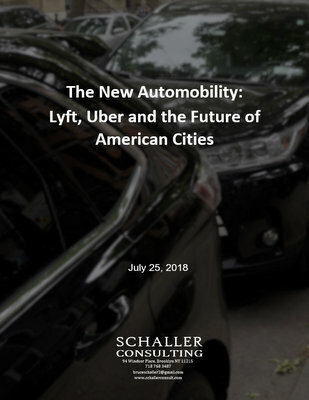 Instead, read Edward Glaeser or Bruce Katz and understand that people who are investing in low-car "congested" cities are the leaders of the new information economy. A good retort to road-lobby claims that life is really better in Houston than in Vancouver is to check the cost of comparable housing. If it were has hard to get around in Vancouver as TTI suggests, people wouldn't pay a fortune to live there. Transit-rich cities are expensive, in part, because many people there can get around without being stuck in congestion. High costs of living, in turn, are the market telling us to create more places just like that. This is the free-market argument. It is the only one that will break through to the business mind and start conveying that maybe there's something to all this transit-oriented investment. The TTI will last at least as long as the Tobacco Institute, and it will sound just as scientific in praise of its product-centered world view — in this case, a world in which only motorists count. So you have to question the world view. If an argument is based on a false remise, don't engage the argument, because in doing so you're accepting the premise. Attack the premise. [Thomas Edison] has so far perfected his storage battery that it will live long enough to stand charges to carry a truck over fifty thousand miles. The perfected battery will pull twice the load of an ordinary truck, will have double the speed and only take up half the space. It will modify, to an extent hardly appreciated, the congestion of the down-town streets, for an electric truck equipped with the batteries will be half as long as today's unwieldy wagons. Being twice as fast, there will be only one eighth of the present congestion in the streets under the new system of speedy motor trucks. in Success magazine, 1908, by Robert D. Heil. The whole article is a delightful read! This makes so many important points! The technology that Edison "perfected" is something that we're still trying to invent over a century later. Richard Gilbert and Anthony Perl argue that much humbler batteries are close to physically impossible. A century ago, like today, everyone assumed that problems of geometry and economics could be solved by some sort of technology. Nobody wanted to think about induced demand, the obvious idea that demand for a valuable commodity is affected by its avaialbility. In a growing city especially, technologies that open up new space for traffic (via either road expansion or vehicle shrinkage) inevitably create more demand for that space, causing congestion to return to an unpleasantly high state sufficient to deter further travel by private vehicle. This is why all forms of modelling that imply a fixed demand for car travel in some future year (the "traffic is like water" idea) are preposterous. If you wonder why I rarely hyperventilate about game-changing technologies on this blog, and tend to be skeptical about technological solutions, one reason is that technology doesn't change the laws of geometry and physics, nor does it transform the mathematical concept of scarcity that underlies the law of supply and demand — perhaps the only idea in economics that deserves to be called a "law". No invention has ever changed these facts, and doing so is the closest thing to an impossibility that we can imagine. If you wonder why I am skeptical about transformative claims made for driverless taxis, well, one reason is that Edison is making the same claims about congestion reduction benefits, based on the same limited assessment of impact. More generally, if you've been fortunate to have some training in literature or history, you have read a lot of stuff that sounds like this. If you study the history of "this-technology-will-change-everything" rhetoric, all the way back to the Industrial Revolution, much of what we hear today from technology promoters sounds thoroughly familiar, just as Edison's claims here should sound familiar to those following the driverless car debate (on which I have an article in the works). You learn that most great ideas come to nothing, or have quite different impacts from those promised, often because of problems of physics, math, or basic economics that any rational, non-hyperventilating person could have thought about at the time. Obviously, stuff gets invented that changes things, but when technology claims to fix a physics problem, such as seems to underlie the challenge of mobile batteries, or a problem of supply and demand, like the role of induced demand in congestion, be skeptical. I've argued before that congestion pricing (or charging) is a terrible term for anything that you want someone to support. It literally implies "paying for congestion," so it belongs to that set of terms that suggest we should pay for something we hate, e.g death taxes and traffic fines. "Congestion pricing" also sounds punitive. When the Sydney Morning Herald asked me to join a discussion of the topic a couple of years ago, they framed the question as: "Should motorists pay for the congestion the cause?" This is a reasonable inference from the term congestion pricing, and yet a totally backward and schoolmarmish description of what congestion pricing buys. In short, congestion pricing (or charge) sounds like a term coined by its opposition. I have argued before that the term should be decongestion pricing, because escape from congestion is what the price buys, from the user's point of view. And it's the user who needs to be convinced that this is a purchase, not a tax. Finally, it has to be framed in a way that doesn't imply that it's only for the rich. People who like a class-conflict frame will never let go of the term "Lexus lanes," which is why I'd avoid vaguely upscale terms like "premium." In any case, over on Twitter, Eric Jaffe of the Atlantic Cities (@e_jaffe) is soliciting your suggestions. (Or your votes for mine!) Another idea that meets my goals — to describe this as a purchase rather than a tax or penalty, and to describe it from the user's point of view — is "road fares," by @larrylarry. All that is for the best. This thing is sentimental, as befits the season. Read it when you want a sentimental read, as we all do now and then. her to retire at 72, and come home to Australia. it was only a matter of luck that she hadn’t killed someone. bus stop, and then a bus only every half hour, none in the evening. company’s failure to innovate, as her mother claimed. At one point he put it starkly: "If you want to know what quality of transit to expect, ask this question about your neighborhood: 'How far would transit have to go to serve 1000 people?'" Of course, in the labyrinth of Theodore the answer was several kilometers, while in Canberra's inner city it was just a few blocks.The problem was sheer geometry. It made sense. side, where it faced a nature reserve. graze, just as they did in Theodore; Helen had always found tranquility in the patient curiosity with which kangaroos gaze at humans. look at her choices, understand their consequences, and choose. mobile home on the east edge of Las Vegas. saving for years, she finally put back enough money to buy a mobile home. good, and there was no money to replace it. are one of the most vivid memories of her childhood. had to pause, their lives interrupted. wouldn’t get a lung full of exhaust. and the wall there was nowhere to escape it. them on the opposite side of the boulevard. hard for one that would be better than that. slow and infrequent to be useful to her. that she could get to the stops on both sides. larger park nearby and a grocery store. over a number of others. to survive, because so many people ride it. reliable as anything can be in this fast-changing city of illusions. Kurt, 45, loves his cars. its dreadful fuel-efficiency and 1990s styling. his boys learn focus and discipline. a light rail station and take the train in. it. Maybe he’ll try it sometime. with his boys, and some fishing rods, and the sky. should make free choices and accept their consequences. freedom without guilt was a dying dream. least renewable resource of all. highway, even if they didn’t want to pay the toll. they had been left with substandard schools. pricing was the only fair way to achieve both sustainability and freedom. declined, which motivated the development of cleaner car technologies. in cities, because that was a geometry problem. on the roads, without worrying about them happening over your head. way to travel in many parts of big cities. without ever making them felt that they’d left the street. feel, and sense of fun in a transit service. the culture of each community. market, but not as much as some people feared. shown that even if you’re poor, your choices matter. People wanted to hide from them. bestow that same freedom on their children. The new US initiative to allow states to toll interstate freeways has to be good news, in the long run, for sustainable transport. The money will go for urgent repairs to those freeways, which is fine with me; the key benefit is to get drivers used to the notion of road tolling again, as it's likely impossible to achieve true decongestion pricing without something that looks like road tolls. The initial legislation allows just three projects but they are obviously meant to demonstrate the idea and lead to wider rollout. Virginia, impressively, is proposing to toll parts of Interstate 95, probably the state's single most important artery. A proposed toll on a 30-mile stretch of Interstate 15 in Arizona is drawing opposition from neighboring Utah. "If Arizona has been negligent in its maintenance of I-15, it should not try and foist its responsibility onto highway users or neighboring states who already pay into the system with their own tax dollars," Utah Gov. Gary R. Herbert said in a recent statement. So if a journalist can't print a map, they could at least clarify that virtually no Arizona residents use this highway, which would be enough to make the politics clear. Arizona's toll-road bid is the opposite in spirit of Virginia's, designed exclusively to soak out-of-state drivers. Given the road's location, and its irrelevance to most Arizonans, the positions of all sides are totally understandable. Would that really spoil the "conflict" that journalism supposedly needs? can we define “livable and lovable” cities? Resilience, which replaces the more bureaucratic and depressing word sustainability, but means roughly the same thing. Some great work has already been done on the concept of resilience. There's already a Resilient Cities movement, and an excellent book on Resilience Thinking. Inclusiveness, which is about "social integration and cohesion," demonstrated for example in the lack of discrimination or social exclusion based on race, religion, age, and all the other usual categories. Authenticity, which means "the ability to maintain the local character of the city," including "heritage, culture, and environment." Below is their graphic summary. (The PDF [Download] is much sharper!) Below that is a bit of affectionate heckling from me. Personally, I have some practical discomfort with the framing of the Inclusiveness category because it is easily exaggerated into visions of a socialist paradise in which we have abolished competition. When Philips says that "inhabitants should have equal opportunities to participate in the activities of the city," does that mean that when our city's team in the playoffs, we'll give out tickets by lottery rather than selling them, in order to avoid discriminating against the poor? If we're talking only about nondiscrimination by extraneous demographic categories, fine. But when you imply that you can neutralize the impact of differences in wealth, you lose so much of the politicial audience — at least in North America, Australia, and the UK — that you've probably lost the game. This issue comes up often in transit, of course, notably whenever anyone suggests that in a capitalist economy, it's foolish not to use pricing to help citizens understand the intrinsic cost of things that they take for granted. It's a tough one. Note, also, the lingering contradictory message in their framing of resilience. On the one hand, the train station signifies that resilient cities acknowledge their "interdependence" with other cities. On the other hand, the emphasis on local farms and local energy generation suggests the opposite, that resilient cities aspire to greater and greater self-reliance. This is philosophically interesting, especially because high volumes of international trade — including in food, which is the opposite of local self-reliance — are the most reliable mechanism that human society has found to prevent large-scale wars. I make both of these comments in the spirit of meditation. I am not claiming to know how better to define inclusiveness or resilience. Rather, I'm just marvelling at how difficult it is.